Here at Locksmith Now, we offer a wide range of benefits that make us the first choice locksmith service in Southampton and surrounding areas. Have you been locked out or need an emergency lock replacement or repair? Locksmith Now can help you. With a wide range of locksmith services in, we can offer our 24-hour service to you. If you need a locksmith in Southampton, Hedge End, Eastleigh or their surrounding areas, then you will need a reliable and qualified professional that offers a quality service. Our professional locksmiths have been fully certified to a high standard, ensuring they provide you with excellent customer satisfaction. Our door locks are compliant with British Standards, giving you peace of mind that your products are durable and strong. We can provide you with the highest level of security with our additional security upgrades for your windows and doors. Have you been locked out? Lost your Keys? Door jammed? We can fix it. 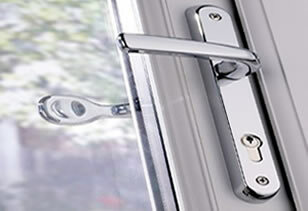 We are uPVC Lock Specialists! Are you looking for a locksmith in and around Southampton? Well, you have come to the right place! Locksmith Now offers expertise in lock repairs, replacements and maintenance throughout the Hampshire area. With our locksmith Southampton services, we can help you keep your home secure. Do you have a locksmith emergency? Are you locked out of your home and need access to your property right away? We aim for our emergency response locksmiths to be with you in 20 minutes, whatever your lock emergency may be. No call out fee is charged to you or any other additional hidden costs. We work with both domestic and commercial clients throughout Southampton and other Hampshire towns, providing ourselves on our excellent customer service, high-quality products and outstanding value for money. 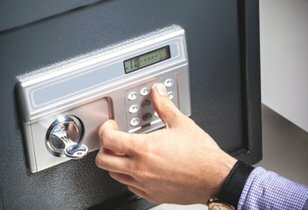 With our local expertise we cover a wide range of general locksmith services with no hidden charges. Do you need a locksmith service out of standard working hours? Then Locksmith Now can help you, and we are available 24 hours of the day. Offering our expertise across Hampshire, 7 days a week for all your locksmith needs; lock repairs, lock fitting, lock upgrades or even emergency entries to your home. Have you found a cheaper alternative to our locksmith services? Yes? Then contact us, and we will beat the price you found! We also offer discounts for OAPs and students. Contact us for more information on the terms of our best price guaranteed. *Price must be compared against a written quotation. All our locksmith services are supplied fitted using parts that are guaranteed for 12 months. Our team of expertly trained locksmiths are always available to help you with all your lock queries. Let us provide you with our expert lock repair and replacement services for your Southampton homes. Locksmith Now in Southampton and beyond provides expert lock repair and replacement services for domestic and commercial clients. Our customer service, exceptional value for money and our 24-hour service guarantee, are just a few reasons as to why we became the first choice for locksmith services in Southampton and throughout Hampshire. Locksmith Now are proud members of Checkatrade. Is your door lock jammed, broken or in need of adjustment? Have you recently moved house and need to change your door locks? 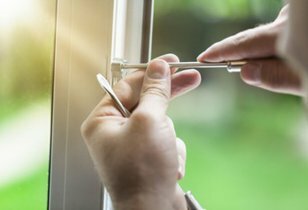 If you have a broken window lock, it could affect your insurance – so don’t delay, get it repaired today! Lost or damaged keys, forgotten combinations or lock failure can leave you unable to access your most precious valuables.